I’m often asked, “How do I move up?” And frankly, there’s no simple answer. 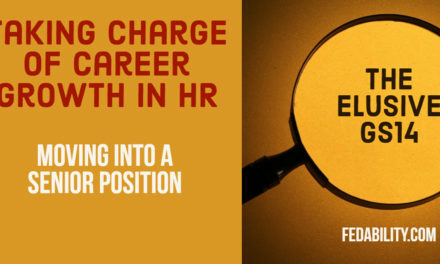 Moving up in one’s career is a jumble of skills, hard work, networking, and good timing. 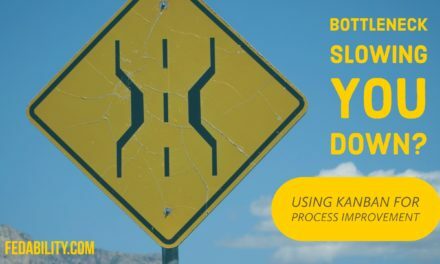 But, there are some solid places to start if you are looking to create an IDP for IT professionals. In this post, I will focus on the core skills that distinguish someone at an entry level to those looking to move into a mid-level position. Not an IT professional? That’s ok – many of these skills will generalize. 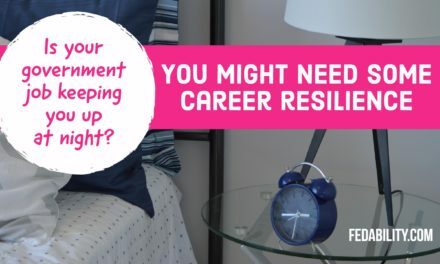 Or, you can check out our prior post on for advice for those early in their career journey. Many people start with looking around at those who are in the positions that they want to be in. They will try to figure out what that person does, and then attempts to emulate them. There’s some challenges with that approach. The person who is in the desired position may not be performing effectively. Thus, if you’re trying to learn from them – you might actually be learning bad habits. 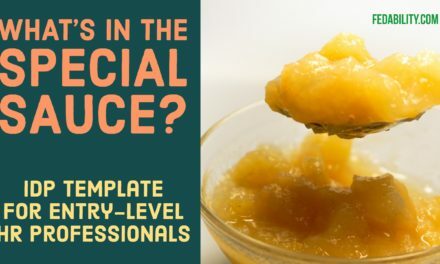 The skills you see as important, may not be the skills that actually differentiate between being in an entry level position and being in a mid-level position. The first place to start is to remember that there’s 3 areas that anyone will need to be strong in to be effective in their position. These professional development goals need to include: technical, professional, and problem-solving skills. Take a look at our prior post to get a deeper understanding of why these three areas are most critical. The second place to start is at the source. Good old Office of Personnel Management (OPM). You see, OPM is the agency that sets the rules for what it means to be a GS-9 versus a GS-12. So, rather than guessing what your colleague who is at a higher grade is doing – at the risk of the challenges I mentioned above – go to the source. What is the differences in skills needed for an IT professional at the GS 9 level versus the GS 12? Well, I started with the cyber security competency model and started comparing the general (not the technical) skills. Going back to our 3 professional goal model, these general competencies would fall into the professional and problem-solving areas. In my experience, people will immediately gravitate towards leadership and sign up for a leadership class. I’m a big fan of developing leadership skills. However, I think that assuming a generic leadership class is going to get you to the next level is hoping for a silver-bullet. According to OPM, creative thinking is defined as: Uses imagination to develop new insights into situations and applies innovative solutions to problems; designs new methods where established methods and procedures are inapplicable or are unavailable. Just as with leadership, creative thinking is a topic that can easily be found in a class offering. And, that might be a good place to start. But, some other ideas might be to practice brainstorming, using mind-maps, and doing some people-watching. OPM defines organizational awareness as: Knows the organization’s mission and functions, and how its social, political, and technological systems work and operates effectively within them; this includes the programs, policies, procedures, rules, and regulations of the organization. Unlike leadership or creative thinking, there are no classes that can be taken to gain this skill. Or, at least not any traditional classes. So then how would you gain organizational awareness? Well, based on the definition I’d start with looking at the mission of your agency, or your office, and of your branch (assuming one exists). Then, I’d look for a copy of the agency’s strategic plan and their strategic goals. You might be surprised to know that the agency’s strategic goals are often easily found by googling it – or on the agency’s intranet pages. Now, you can take it to the next level and look for your agency’s IT strategic plan. OPM defines technical competence as: Uses knowledge that is acquired through formal training or extensive on-the-job experience to perform one’s job; works with, understands, and evaluates technical information related to the job; advises others on technical issues. Now this is one of the few areas where I’d recommend formal training. How do you know what areas you should focus on in IT? If I were you, I’d start with reading NextGov. NextGov is a free online magazine (e-zine)that covers the hot topics in IT in government. The e-zine covers cybersecurity, emerging technology, and IT modernization.It also covers issues around IT procurement. And, I think this is a particularly important topic given our prior post on why everyone should know about acquisition. 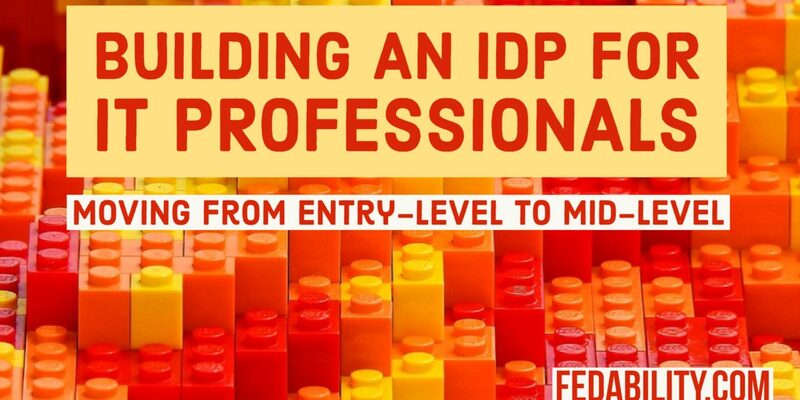 Download the Fedability IDP template for Entry-level to Mid-level IT professionals. Complete the template by selecting up to 3 competencies. I picked 3 of the 7 competencies that distinguish an entry level IT professional from a mid-level in this post. However, the areas you want/need to develop may be different. So pick between 1 and 3 of them. Identify a couple methods to develop the competencies you picked. Not sure how to do it? The template offers a list of methods to develop your skills. Or, you could try googling it. “How to develop my teamworking skills” Read a few ideas that pop up. Or, send me an email and we can talk through a couple ways to build those skills. Tell us what you come up with in the comments below!